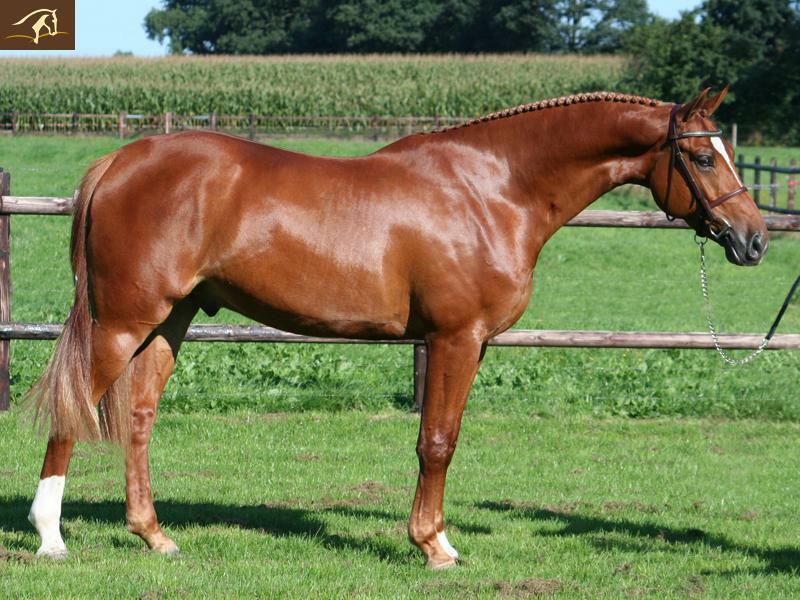 This beautiful son of world famous Nassau is just awesome! 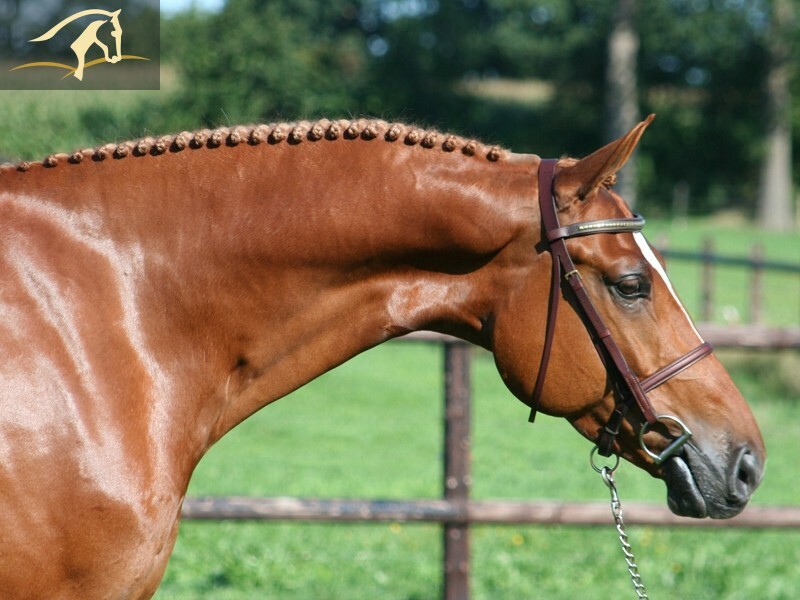 Out of an elite mare by Calvados! Only predicates like ‘keur preferent’, ‘preferent prestatie’ en ‘elite’ in the dam line. Quiet, honest, brave, fabulous mover, good jumping technique and easy to ride. 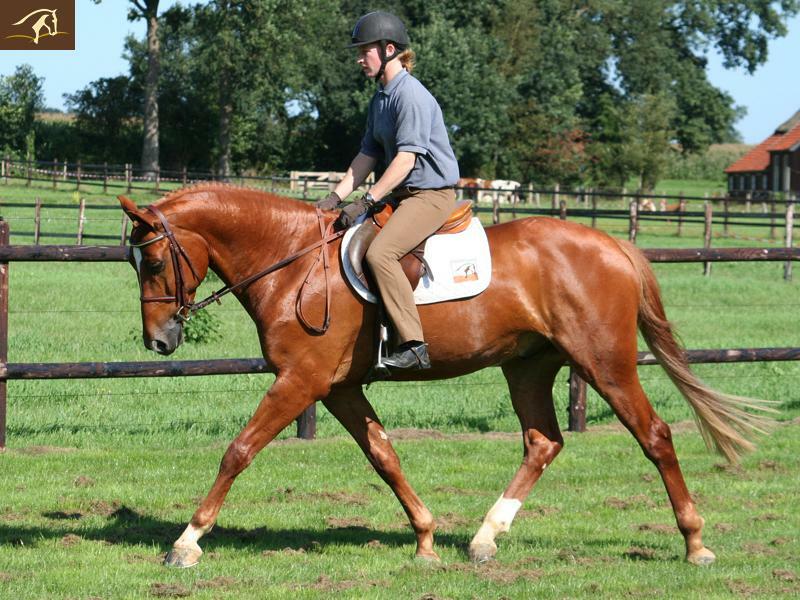 Very suitable for an amateur rider but also for a pro rider because of his talents. This super horse is just perfect for the job. He has a laid back attitude and never stops! 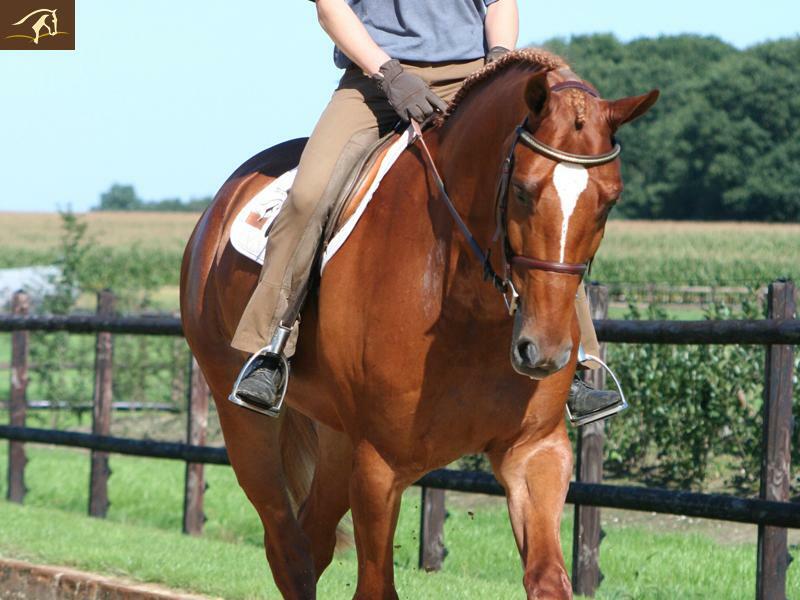 A true pleasure to ride and to handle. Recently fully vetted. (digital x-rays). The KWPN stallion Nassau and rider Jeroen Dubbeldam entered the ring accompanied by loud applause. Next several Nassau offspring were Presented, including the approved stallion Thunderbolt and Vodieza, 2005 champion of the jumping mares in Gelderland and highest placed jumping mare at the National Mare Keuring. The internet jury and readers of ‘In de Strengen’, as well as the committee voted unanimously for Nassau. 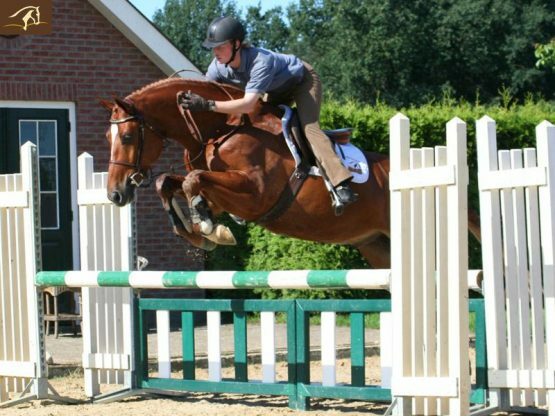 The Indoctro son and his rider Jeroen Dubbeldam, brought us to the spotlights of international jumping sport by way of earning a silver medal at the National Championships in Mierlo, a double bronze at the European Championships in San Patrignano and first place at the finals of the Samsung Super League in Barcelona.